Nancy and Paul asked me to reproduce a traditional table that I was restoring for another customer. The design is simple but elegant Hepplewhite with extensive string inlays of contrasting veneers. 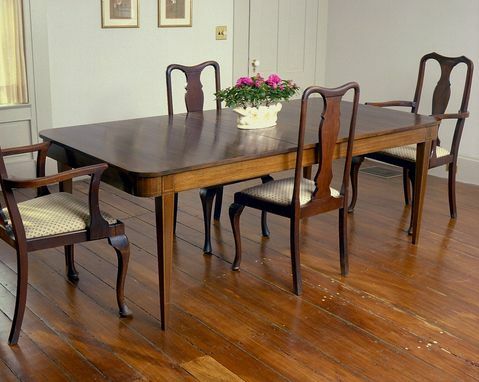 When fully extended the table will seat twelve with its three leaves. I delivered the table just in time to slip it under the Thanksgiving turkey.